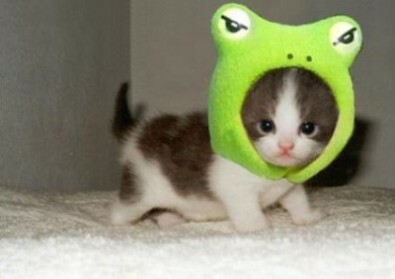 This entry was posted on Samstag, April 28th, 2007 at 12:16	and is filed under Baby Cats, Cute Cats, Not only cats. You can follow any responses to this entry through the RSS 2.0 feed. You can leave a response, or trackback from your own site. hahahaha how cute i love kittys so much even more when they are in cute lil clothes!!!!!!!!!!!!!!!!!!!!!!!!!!!!!!!!!!!!! Fantastic blog! I dont think Ive seen all the angles of this subject the way youve pointed them out. Youre a true star, a rock star man. Youve got so much to say and know so much about the subject that I think you should just teach a class about it…HaHa! You completed several great points there. Used to do a search about the issue and located virtually all individuals goes along with together with your blog. Great post. I used to be checking continuously this weblog and I’m inspired! Extremely helpful information specially the remaining phase 🙂 I deal with such information much. I used to be looking for this particular information for a long time. Thanks and best of luck.